Backup and Continuity. No Lock-in Period. Our team will help you accomplish tax compliance for your business and ensure accuracy and transparency in your financial reporting. With years of experience in working with clients in various industries in different territories, our finance and accounting professionals have ample knowledge in the different taxation procedures that your business needs for seamless statutory financial reporting. Get comprehensive audit services for better financial management! Veer away from fraudulent transactions while keeping a close eye on your business finances. You can experience all of these and more with the help of our Audit Support Group. 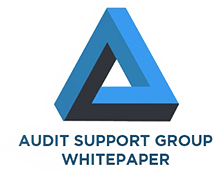 Download our eBook and discover why you need strategic audit support services for your SME.